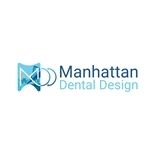 Manhattan Dental Design (New York) - Book Appointment Online! You won’t find a dentist anywhere in the Columbus Circle, Hell’s Kitchen and Central Park areas that provides a more robust service to families than Manhattan Dental Design. Our team members are trained in dental excellence for adults and children. Each and every patient is made to feel they are part of the family, making trips to your Columbus Circle dentist a much more pleasant experience. All of our dental professionals have studied rigorously in dental medicine and have additional advanced training as experts in their respective field. Our dental specialists have board-certification, the highest recognition in their field.